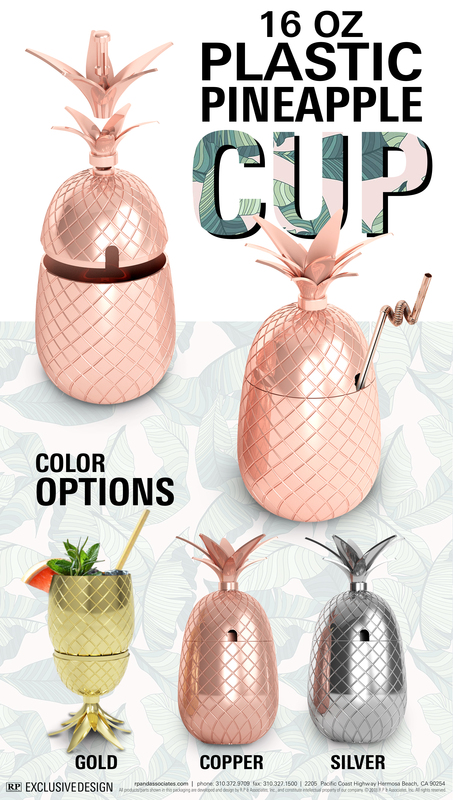 Our Plastic/Electroplated Pineapple Mug is all you need to feel like you’re on vacation in the tropics, sipping Mai Tais with your toes in the sand. Perfect for themed events, or that ultimate pool party to kick-off summer that needs one last tropical touch. Forget the laborious task of coring endless fresh pineapples to use as drink-ware, these reusable mugs can be washed and ready to go for the next shindig. A tumbler-style glass by day and hurricane-like glass by night, the top can be removed and used as a stem for a memorable, specialty cocktail experience. Whether it’s a unique addition to the beverage service at a five-diamond resort’s poolside cabana, or a beachfront restaurant and bar, our Pineapple Mug is guaranteed to make a statement. 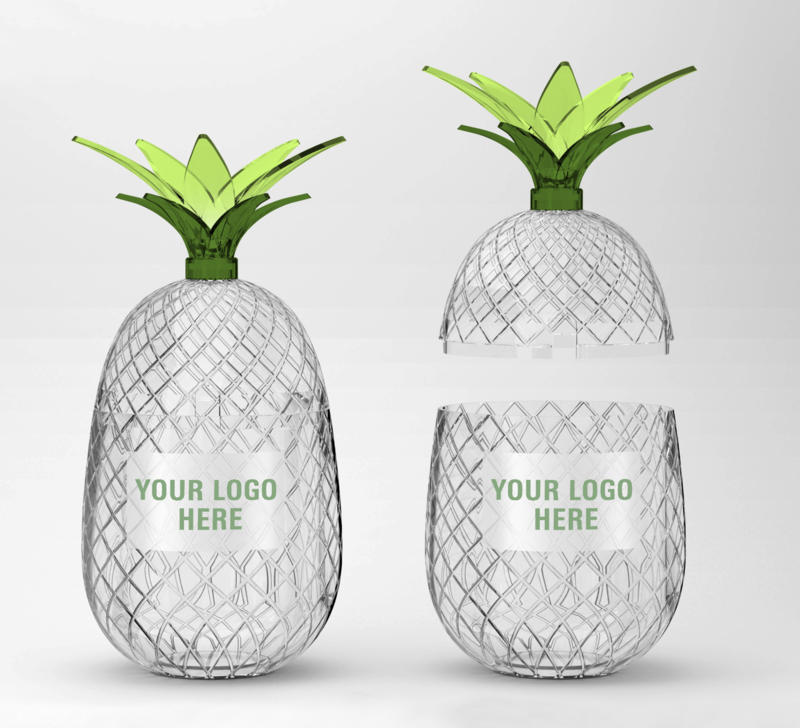 Be sure to look out for the shot-size version of the Pineapple Mug, the Pineapple Hitch!